The first rule about renting a tuxedo is NEVER DO IT OVER THE INTERNET! You must come to our store to be professionally measured. Have you been to a wedding lately where the groom and groomsmen looked like a rumpled mess? You can be sure that they did not get their tuxes at Park Avenue South. 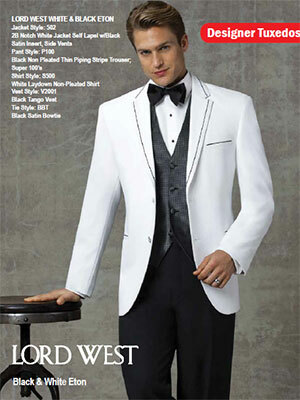 Looking to save money by ordering your tuxes online? Big mistake! Come to our Tom's River, NJ location for a perfect fit at resonable price. Meet with our formalwear experts and use our in-store fabric swatches to match your wedding colors perfectly. Your party will be professionally fitted for your event and everyone will look great. 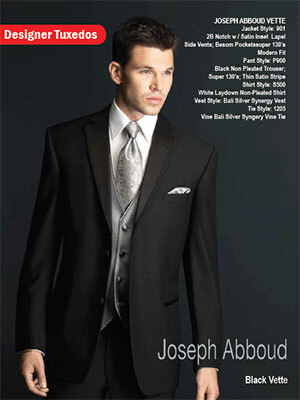 Browse, select, and create your preferred style with the help of our tuxedo professionals. Experience our personal, expert advice. -CLICK HERE to schedule an appointment. -Visit our store on your scheduled pick-up day for a final fitting. We'll make any necessary adjustments. 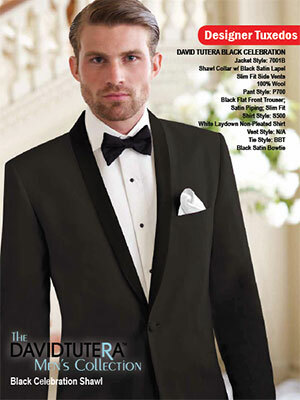 -Look terrific in your tuxedo and enjoy your event! 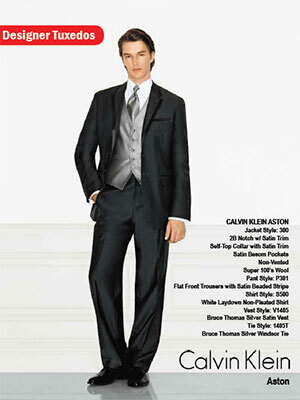 -Return your tuxedo the next business day. Ready to look your best? Check out some of our representitive pictures from the many designers we carry below and call us or click above to schedule an appointment. 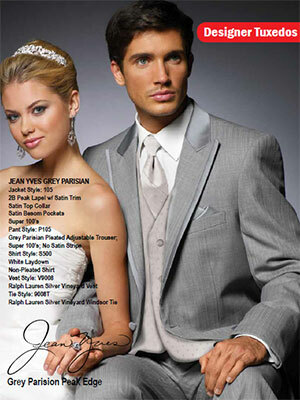 SmartFormalwear by Sarno is the Northeast's most popular source for wedding, prom, and quinceañera tuxedos. With over 75 tuxedo styles and discount tuxedos from Michael Kors, Ralph Lauren, Calvin Klein, Joseph Abboud, Perry Ellis, Jean Yves, Ike Behar, and Allure for Men, Sarno & Son Formalwear has fashion options to match your sense of style. Sarno & Son's vest colors match today's gowns from bridesmaids and prom designers from New York to Paris. 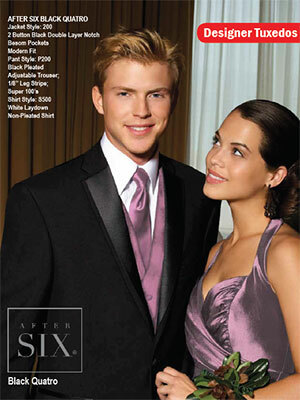 CLICK HERE to view our SmartFormalwear Online Catalog featuring the entire collection and all available accessories. Then contact us to schedule an appointment to be professionally measured in our store. You can also CLICK HERE to use our registration form to schedule your appointment 24/7. 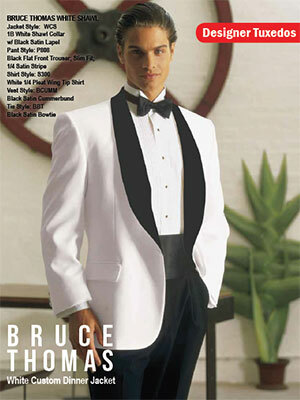 Exclusive Designer Tuxedo Collection features all the most popular designer tuxedo collections. CLICK HERE to view our catalog of these fabulous styles and accessories.